A new online part configurator tool was recently added to product pages of the TRICOR website to help customers configure Coriolis mass meters and build part numbers. The robust configurator tool built by CADENAS PARTsolutions guides users through a series of selection options including process connections, temperature range, electronics type, interface, supply voltage and EX protection. 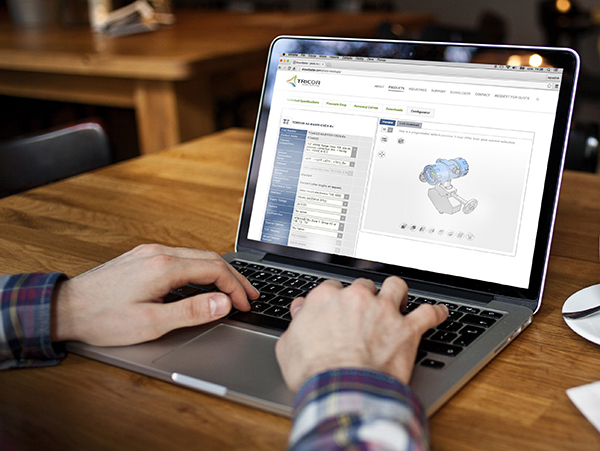 A dynamic 3D model is generated from the selections made that can be manipulated within the viewing window, along with the specific part number for streamlined ordering. Engineers can also download the 3D model in a wide variety of file formats to include in their own projects. We expect this to be a popular feature for customers who are seriously examining the TRICOR TCM product line for their next process control project. To view the tool for yourself, go to the TRICOR website today and take it for a spin.